We propose an analytic method to evaluate synchronous shared workspaces design. The method uses human-performance models, developed in the Human-Computer Interaction field, to make time predictions about collaborative actions performed in selected critical scenarios. 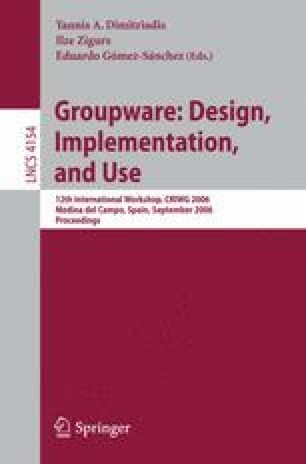 We apply this method to two case studies: the design of a collaborative game and the redesign of a collaborative tool for software engineering requirements negotiation. The benefits and limitations of the method are discussed, as well as some implications for design.